Happy Black History Month! 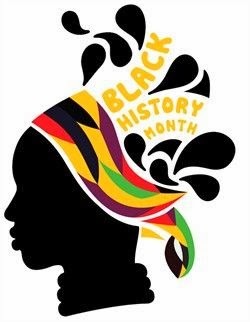 I'm a proud black woman and I celebrate the rich history of our people 365 days of the year but I'm thankful to have a month to celebrate it even more! This year I decided to challenge myself to learn some new things about my beautiful black people and our contributions to America and the world that I didn't know before so I wanted to share 5 facts that aren't as commonly shared this time of the year and that I didn't know before now. Potato chips, an American snack favorite, were first invented by a Black man named George Crum in 1853. He was a chef in Saratoga Springs, NY, how cool is that? Though he didn't patent them and didn't come up with the idea to bag them and sell them, he invented them. I don't know about you but I looove potato chips! Sarah Goode, in 1885, was the first black women to receive a US Patent. She was a freed slave that moved to Chicago and opened her own furniture shop and created a cabinet bed that folded into the wall. Thomas Edison gets all the credit for inventing the light bulb but he really wasn't. His initial model was a failure using a paper filament. Lewis Latimer, a black man, created a carbon model that contained a carbon filament which made it last longer, which made light bulb production much cheaper and more affordable for people across the country to light their homes. Philip B. Downing, a black man, created the first protective postal mailbox in 1891. Before then, mailboxes were semi open which exposed mail to thieves stealing it and to being destroyed by the natural elements like rain and snow. On this day, 5 years ago, Eric Holder was the 1st black Attorney General sworn in.